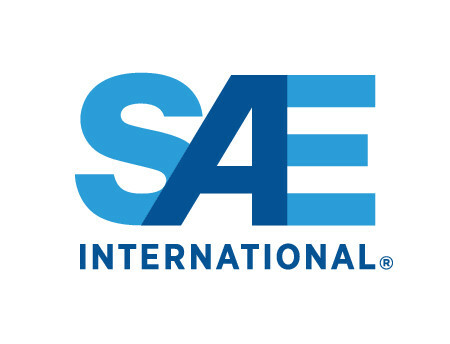 SAE International announces that Andrea Brazzale-Anderson, Technical Manager and Chief Engineer of the Caterpillar Industrial & Waste Group, is the winner of the Rodica Baranescu Award for Technical & Leadership Excellence. 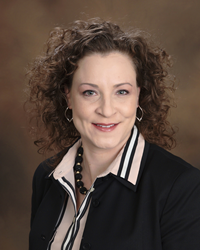 In her current role, Brazzale-Anderson leads all product development of Caterpillar’s Soil and Landfill Compactor and Material Handler machines. In her current role, Brazzale-Anderson leads all product development of Caterpillar’s Soil and Landfill Compactor and Material Handler machines. She has worked at Caterpillar for 17 years in a variety of roles, including quality and reliability, new product introduction, operations, intellectual property protection, sourcing strategy, cost management, and product development. Her top accomplishments include: leading a sourcing team to save more than $500M in unnecessary investment while rationalizing $1.5B in approved capital; reducing $150M in annual material cost by improving processes, tools, portfolio balance, and execution velocity; and embedding a culture of world-class decision making by training and mentoring more than 100 green belts and 25 black belts in Six Sigma tools and methodology. Brazzale-Anderson also has a passion for lifelong education, in particular, helping young students overcome biases to embrace and leverage their unlimited capabilities. Her consistent desire to foster individual growth and success is evidenced in her involvement with FIRST Robotics. In 2007, she co-founded the Oswego High School (Illinois) FIRST Team 2338, “Gear it Forward”, which serves more than 100 high school students and continues to grow, establishing and mentoring more than 16 junior high FIRST Lego League teams. More than 1000 high school and junior high school students have been impacted through the Caterpillar Aurora-Joliet facilities support that she has coordinated since 2007. She also brought Baja SAE to Illinois in 2008, 2011 and 2014. Brazzale-Anderson has served in many SAE International functions, at the local level as Section Chair and Baja SAE Illinois Committee Chair, and at the national level on the Sections Board, Executive Nominating Committee, and Fellows Committee. She was awarded the 2004 SAE Distinguished Younger Member Award and the 2005 SAE/AEM Outstanding Young Engineer Award. She has a Bachelor of Science in Mechanical Engineering from the University of Illinois at Urbana-Champaign. Established in 2011, the Rodica Baranescu Award celebrates the successes of women in the engineering profession and recognizes their leadership and technical contributions. The award serves to broaden the awareness of the reach and impact of women working in the mobility engineering profession. Its goals are to stimulate the involvement of women in engineering as well as open doors for young girls interested in science, technology, engineering, and mathematics (STEM) activities who wish to pursue engineering careers. Dr. Rodica Baranescu is an SAE Fellow, Past President of SAE International, and a member of the National Academy of Engineering. She is a mechanical engineer who started her professional and academic career in her native country, Romania, before immigrating to the United States in 1980. In 2000, she was the first and only woman elected President of SAE International.